The Certain sector that has not get the timely and adequate credit and may be ignored due to low income generating sectors, but for the progress of the country, development of each and every sector is very important. So, those sectors are given special focus by Government of India (GoI) and Reserve Bank of India (RBI). 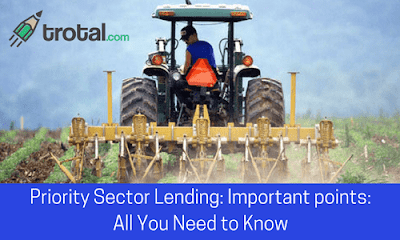 So for giving special focus on these sectors, RBI has introduced Priority Sector Lending (PSL). Some targets are given to the banks for lending activities in some specific sectors. Under Priority Sector Lending each bank has to provide credit facility to some specific sectors so that these sectors can be sustainable and also they can contribute to the economic development of our country. Farmers engaged in agriculture and allied activities i.e. fishery, dairy, animal husbandry, poultry etc. Loans for crops i.e. crop loan, it also includes traditional and non-traditional plantation. Those farmers who want to purchase land for agriculture purpose. Loans to dealers or, sellers of fertiliser, pesticide, seeds and other materials required in agriculture. 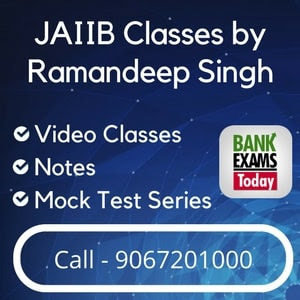 Loan up to 10lakh for education in India. Loan up to 20lakh for education in foreign countries. For construction or purchasing of the house up to 25lakh. For maintenance and repair works (Rural – 2lakh & Urban – 5lakh). It includes health, education, transport, road, railways etc. For encouraging the use of solar energy. To encourage those industries that use waste to produce energy. Loans for Self Help Groups. Micro, Small and Medium Enterprises (MSMEs). Farmers having land up to 1 hectare is considered as small farmers. Farmers having land more than 1 hectare but less than 2 hectares are considered as marginal farmers. ➡Beneficiaries under government sponsored schemes. ➡The minority community as per government notification. ➡Small and Marginal farmers: - 8%. If any bank fails to achieve above PSL practices then that bank have to deposit the difference to the Rural Infrastructure Development Fund (RIDF) with NABARD.